Pop singer Mima Kirigoe looks forward to a bright new career when she quits her chart-topping trio to become an actress. When she lands a role in a sexually-charged murder mystery, Mima`s life begins to fall apart. Reality and hallucination merge into a terrifying world where innocence is lost and dreams become nightmares. 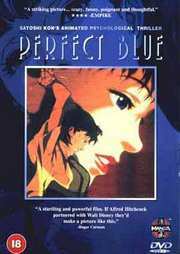 This cult hit from Japan invites comparison with `The Wall`, `Psycho` and the lush visuals of Disney films, giving a unique, moving, shocking manga classic.